This is the fifty-first book in the series, and is something of an anomaly. I strongly suspect that the entire series was winding up to finish with the fiftieth, Return to Firetop Mountain. If my theory on that is correct, then this is the book that broke the plan. It stood up in defiance of... of... eh, stuff. Defiant little bugger. Anyway, never had this book when I was a kid, it just never looked all that interesting. Blame the cover. 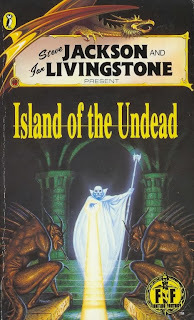 I really should do a top ten good Fighting Fantasy book covers. Let's get right to this, shall we? You're the son of a local fisherman, and it seems that the weather has been playing up quite a bit lately. So you decide to go and ask the local island full of wizards, who had previously been keeping the local meteological disasters at bay. Me and a few other fishermen all hop onto a boat to go and pay the local fireball-throwers a neighbourly visit, but promptly get caught in a storm. Following a rather intimate moment with a tidal wave, I wash up on the shore of the wizard's island as the sole survivor. Right off the bat, the very first paragraph gives me a combat sequence, with the rotting corpse of one of the other fishermen turning into something called a 'sea zombie'. It's not a tough fight, but it's a heck of a way to start the adventure. Once I whomp it into the ground, I head south towards a small forest. The forest itself seems to be enchanted, I wander around it for several days, using up my provisions, until I eventually meet an old man in a tree. I'm asked if I know his name, but I've had no chance yet to learn his name, unless I had gone north to visit a lighthouse first. As I've no idea who the old man is, I just strike up a casual conversation, being as friendly and helpful as I can, and ask him what information he might have. When he has the gall to ask for some items in exchange for the information, I try to bat him with my sword instead. Cheeky bugger. Instead of dying like most polite old men would, he jumps out of the way and throws a bag of horrible plague at me. Coughing slightly from my new case of Lung Rot (what a lovely name for a disease. I suppose other Allansian illnesses include the likes of Foot Muck and Willie Stink), I stumble through the forest until I find a rather curious clearing with an old brick archway stuck in the middle of it. At this point, my character promptly changes his name to Mr Falldown McTripsandfallsalot, because whilst exploring the clearing he manages to fall and twist his ankle on a rabbit hole. Annoyed, I decide to wait until the middle of the night before doing anything else, and when I awake during the night I find that the surrounding area has three barrows. Yay, I think, resting places for me to corrupt, and immediately fall into the nearest one by accident. There's a gold coin and a sword amongst the dead bodies, which I don't feel is a fair trade for falling onto someone's dead grandad. The next barrow is guarded by a fire monster which I can't defeat with non-magical weapons, causing me to run away as it spits fire at me. The third and biggest barrow, naturally enough, is guarded by a big tough undead monster, similar to one of the druagh of Skyrim, but I'm able to kill it without too much hastle, at which point I fall down a stairway into the deeper part of the barrow. My stamina isn't looking too good at this point. Neither are my provisions, because the book instructs me to stuff my face with them every third paragraph or so. In the bowels of the barrow, I meet a ghostly spirit who tells me not to approach him. I don't, instead I decide to talk, but he calls me a fool and spits ice at me. I get fed up with this entire silly barrow, so I leave and go to sleep in a tree. The next day, I leave the forest and finally arrive at the hill, which provides a fairly good view of the entire island. It's a pretty good view, and I'm planning my next move, until a bunch of skeletons rise up out of the ground and try to kill me. No idea what the skeletons are doing on the hill, maybe they went out for a jog and got so bored that they died from it. I decide to head towards the local monastery, described as a brick building. 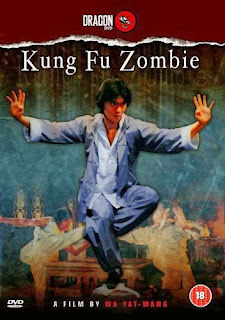 I have high hopes of finding something vaguely useful here, and inside it there is a rather unusual thing - a kung-fu monk zombie. Questioning the plausability of a rotting corpse that can jump-kick its enemies, I kill it and explore the entire monastery. I find a few useful things, mainly a bunch of spare provisions and potions, a map of the island that indicates a small bay occupied by friendly mermen, and a scrap of paper that documents the falling-out of two of the local wizards, which some of the monks attempted to resolve via hiding their magic crystals. Oh, those wacky monks! I decide to opt for a change of scenery, so I go for a walk in the swamps to the south. It's very humid, and my skill and stamina start to plummet again. I wind up getting chewed on by a giant alligator, but manage to survive that whole ordeal. Eventually I reach a cliff leading down into the mermen's bay. They seem to be having a bit of trouble with the local shark-men, so I kill one of those and earn their trust, and they kindly inform me of a secret entrance into the wizard's tower. I'm suspecting that the wizard's tower is the final stage of this adventure, so I opt to head to another area first before I go that far, namely to a nearby small hut. The path to it is guarded by a hydra type of a monster, which is a bloody nightmare to kill, and has a rather overly complicated system involving cutting off its spare head. But once it's dead, I get to the hut and find that it is also guarded by giant skeletons, purely to work as a pointless additional threat. The hut itself guards a small shrine, which has been utterly broken and ruined, and I'm unable to repair it without a pot of glue. Finally, and utterly unequipped for it, I approach the wizard's tower. The path branches off into a chasm, which I thoroughly explore and find nothing of any use, something of a recurring theme in this adventure. By this point, I've come to the firm conclusion that this entire adventure is based around finding just the right items, in the right order. Missing any, as I'm sure that I did at the lighthouse at the start, seems to automatically doom you to failure. But that's just my conclusion. I may yet be wrong, let's reserve judgement until we get to the tower. I travel down the cliffside and find the hidden entrance to the tower that the mermen advised about, and immediately stumble into an empty storeage room. I head downstairs, stumbling through the tower until I can find a room containing a large tank of sewage water for no apparant reason. I try to break this open, hoping that petty vandalism to the plumbing will deal some kind of victory blow to the evil that has settled here. Instead, I merely feel ill. The very next door I arrive at informs me that the final boss is probably on the other side (no doubt due to the scorch marks and general burning heat of fire in the air), and tells me that I can always return to that room later if I really want to. So I chicken out, and instead head into a room that appears to have flooded some time ago. Hopefully not with sewer water. I wade my way through the water, killing an unfriendly moray eel on the way, and get to the door on the other side of the chamber. Said door leads into the chamber of someone or something called the Master of Waters, and lacking any magical weapon, I am straightforwardly informed that I cannot win and that the Master of Waters kills me. Somehow. Whoever he is. Death by ????? I suppose. Make no mistake, this isn't a bad book. 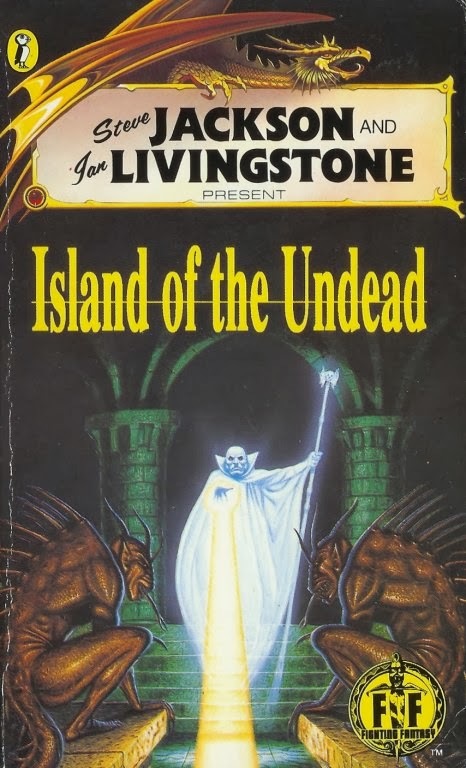 The writing is decent and quite evocative, the island itself is interesting, and although it doesn't quite make you feel as part of the journey as Island of the Lizard King does, you do get quite a few nice areas that you can explore, often in a non-linear manner. Well, a sandbox kind of a manner. Having said that, the actual puzzles in this adventure are linear, very much so. But it does give you the illusion of choice, which is interesting. I'm undecided on this one. I rather imagine that this one will play out better if you go through it several times and map out where to get all the items, but that's just too much work for me. 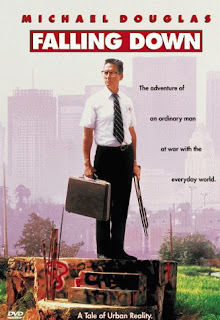 What did you guys think of it?